Most fans are going to be over the moon at the return of Ministry. They've been sorely missed and with this new album they seem re-energised and on great form. A few brief comments on some of the songs.. The first track on the album, "Ghouldiggers" is an attack on managers within the music industry who see artists as something to be exploited, and who are worth more after their deaths. It's Ministry all right - great metal with vitriolic thoughtful lyrics. Al Jourgensen is never afraid to tackle controversial subjects - "Double tap" for instance is about the attack that killed Osama Bin Laden. The lyrics are paired with some great thrash riffs to make a great powerful song. "Freefall" is relentlessly fast and powerful. "United forces" is a cover version (the original being by S.O.D), and is features some blisteringly fast thrash as well as a slightly slower chorus. 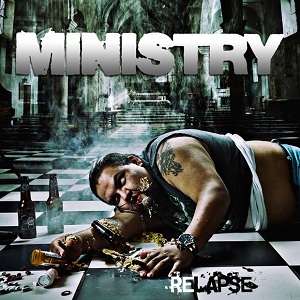 Ministry are back and they're as angry as ever - this is a fantastic album that I cant recommend highly enough. Relapse is out now on AFM records.